If you’re thinking about volunteering, you’re in good company. 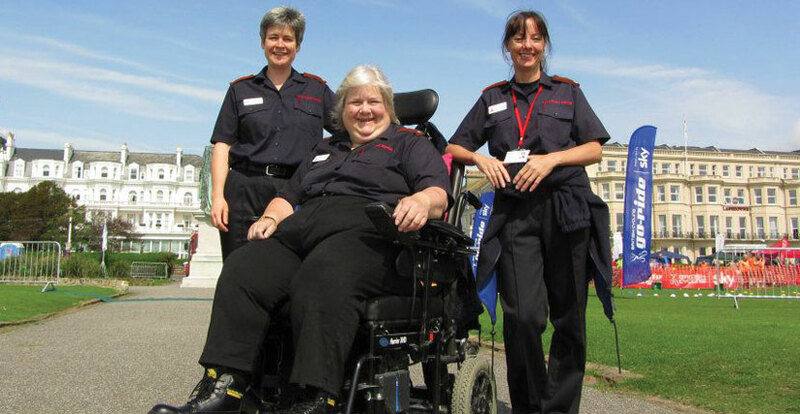 Thousands of people volunteer in East Sussex, in a huge variety of roles for many different organisations across the county. Volunteer Centre East Sussex (VCES) currently promotes over 800 opportunities, offering a range of experiences, responsibilities and activities. We support all members of the public to find appropriate volunteering opportunities that match their skills, interests, abilities and goals. We often receive enquiries from people with additional needs and those who support them, (i.e. support workers). Some volunteering opportunities are suitable for people with extra support needs, or could be adapted to overcome barriers to enable people with specific support needs to take part. The place to begin when looking for a volunteering role is our Quick Guide to Finding Volunteering Opportunities. This easy to follow guide will help you to identify an organisation and / or a role that might be of interest. Think about what you like doing, what you want to do when volunteering and what type of organisation you want to get involved with. In our experience the person looking for a volunteer role (perhaps in discussion with their support worker) is in the best position to decide whether or not this role will fit their abilities and goals as well as their specific support needs. If you are a support worker researching on behalf of your client, our experience has shown us that you know your client and their needs better than we could ever hope to. We can help, however, by providing some advice and tips which we included in the Guide for Support Workers. We included some of them here. When you choose a role you are interested in, or an organisation you want to volunteer for you can then approach them directly. How you approach an organisation about a volunteering opportunity will depend on whether you are confident to make an approach yourself or whether you would benefit from help to do this. In order to manage expectations, some support workers choose to contact the organisations, either on behalf of or prior to bringing the client into the discussion, to enquire about opportunities and assess the suitability of the role for their client. This helps the support worker to either pave the way for their client and their individual support needs or it can prevent a client’s disappointment if a role turns out to be unsuitable or no longer available. Talk to the organisation about your support needs. Be as open and up front as you can be to help the organisation to understand what support you might need. If you are not confident that you can undertake the role as described, ask if the organisation would consider adapting the role (sometimes called “role carving”) to take you on. Be specific and explain the nature of your support needs. Explain how the organisation could benefit from your involvement, even if you cannot meet the needs of the full role description. Offer your unique skills to create a bespoke role for yourself within the organisation. Ask what help the organisation would need in order to be able to involve you in its volunteering programme, and see if you can explore ways of working together to reduce any barriers. Many volunteering roles can give you confidence, experience and skills that are transferable to the job market. If you are looking for experience in the voluntary sector as a stepping stone to paid employment, look out for opportunities that offer experience that relates to the paid work you are aiming for and / or that provide accredited training or qualifications.